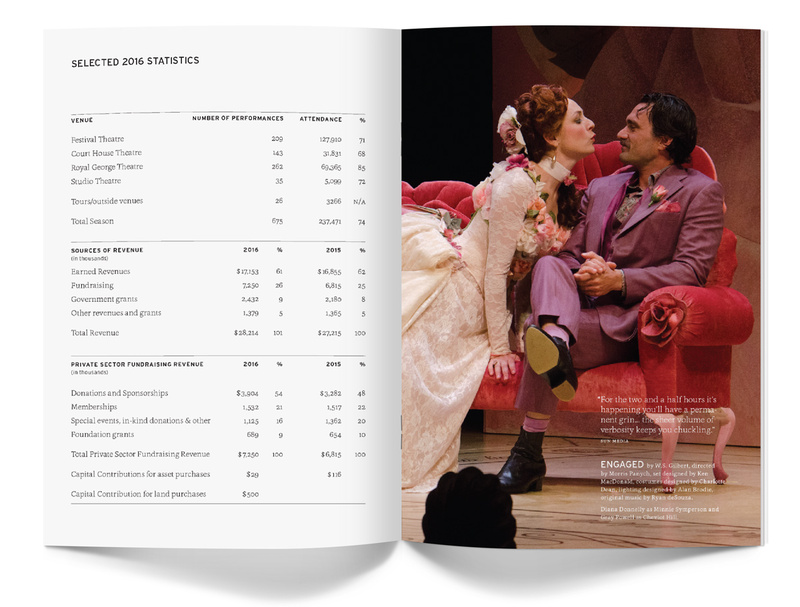 Punch & Judy has designed the house programmes for almost 300 Shaw Festival productions since 1991. 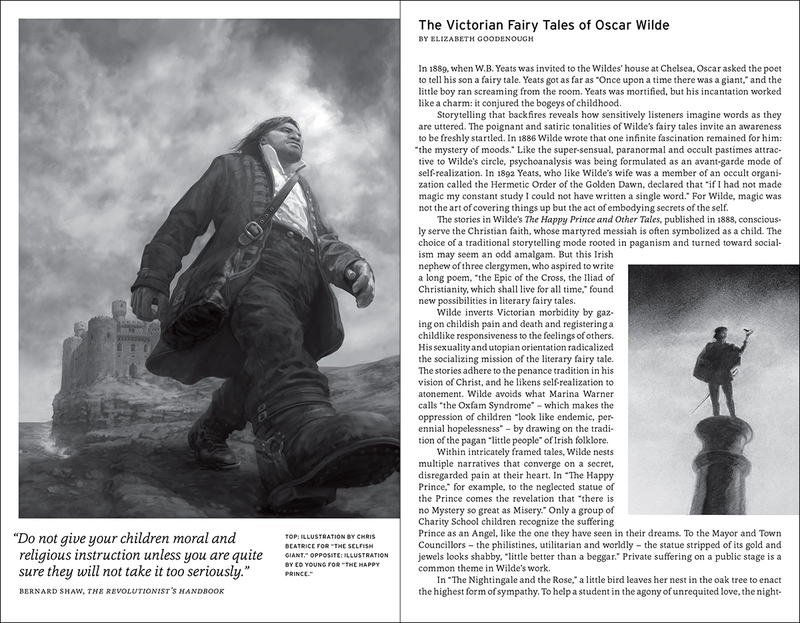 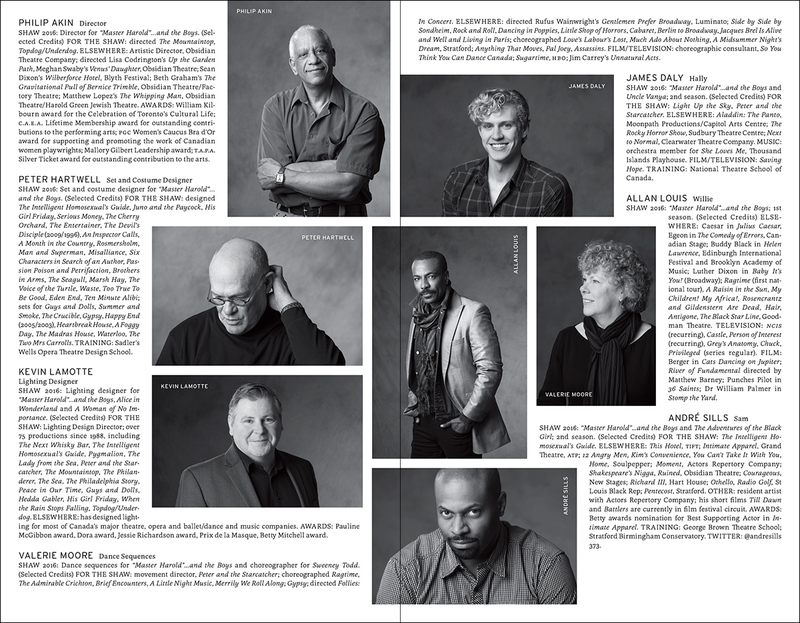 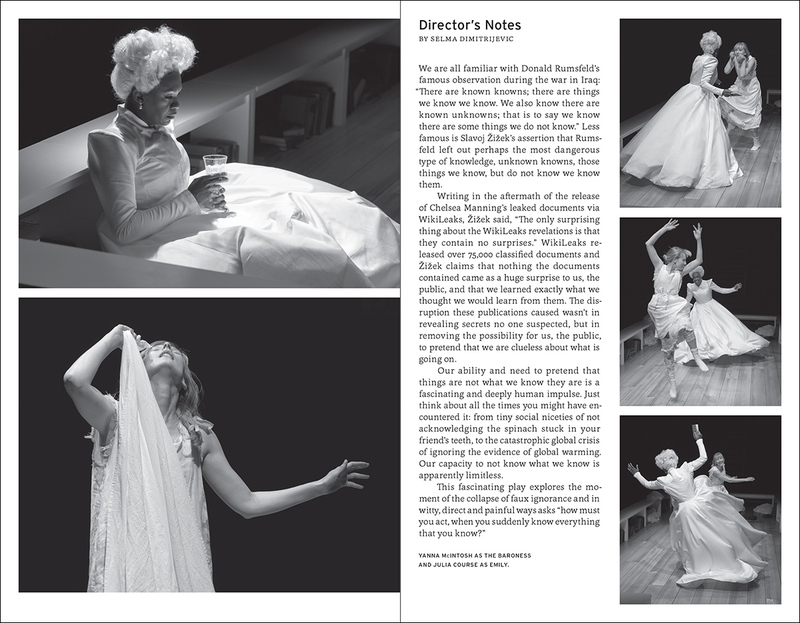 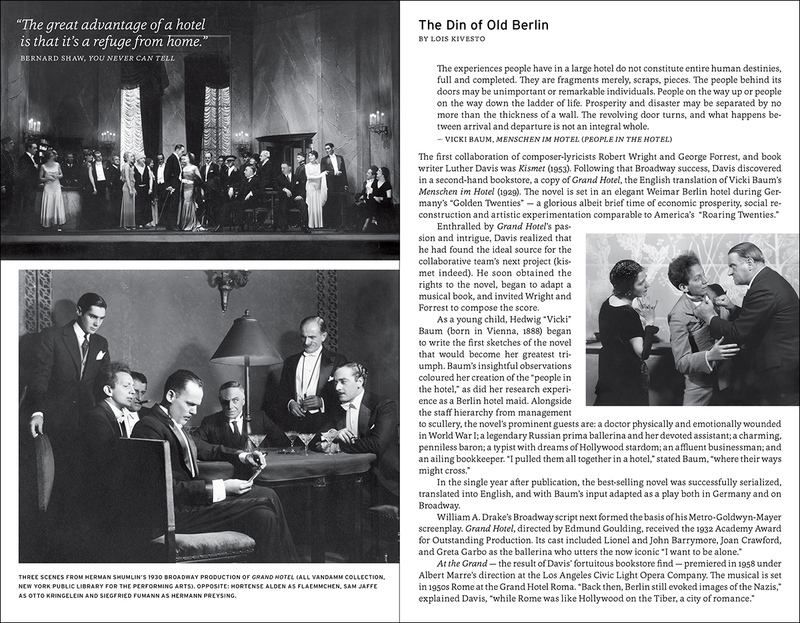 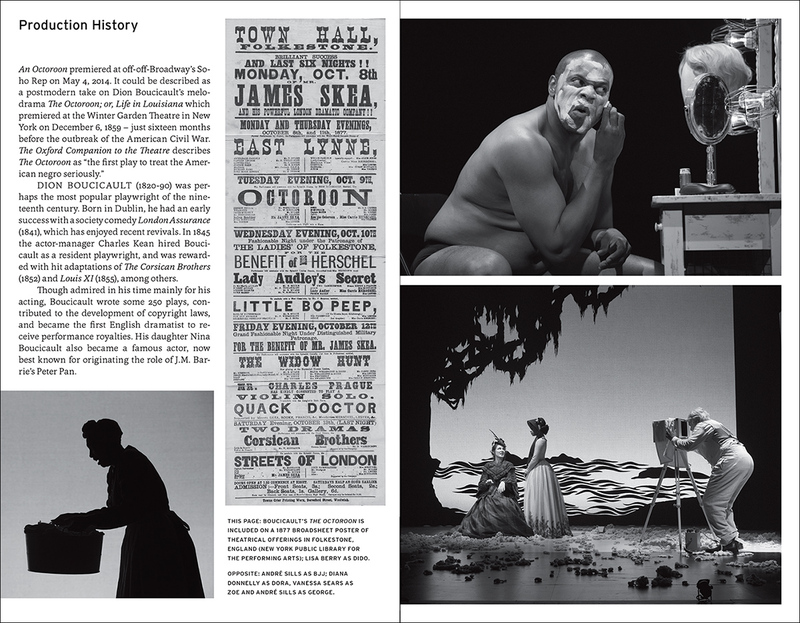 The 40-page booklets include essays, an illustrated production history, director's notes, production photos, and ensemble biographies featuring David Cooper's portraits of the company. 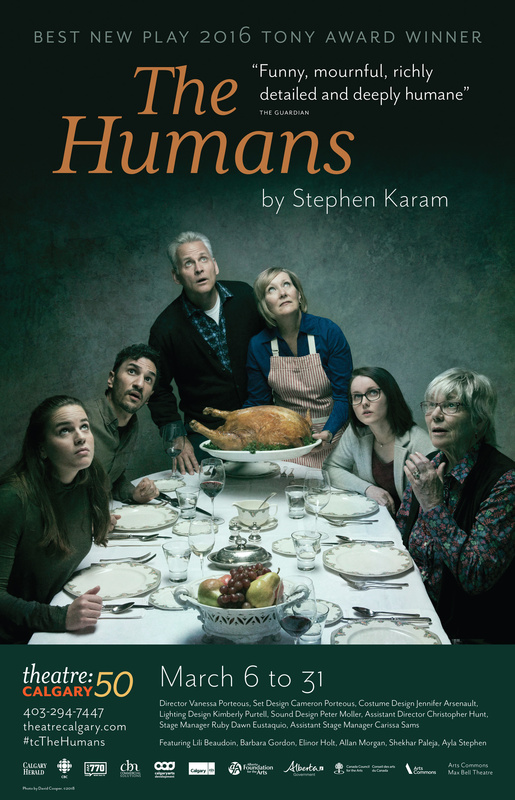 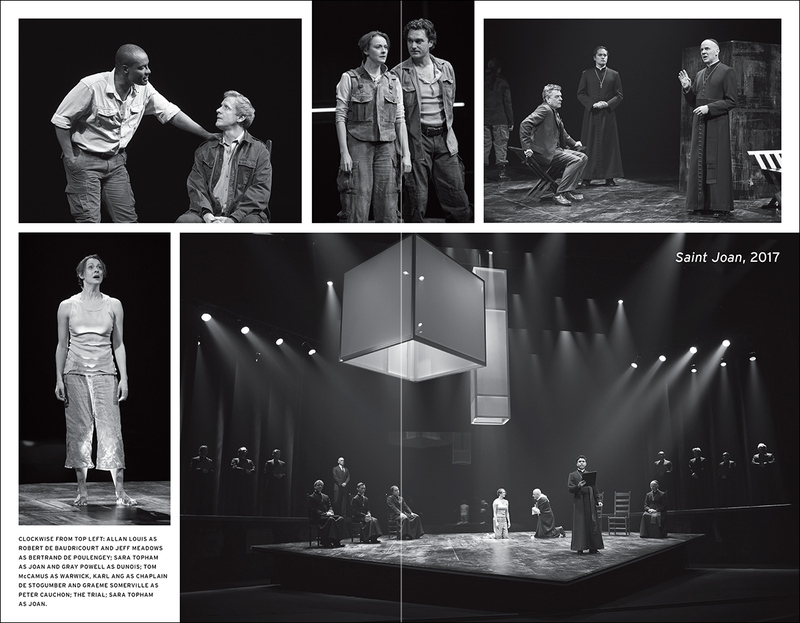 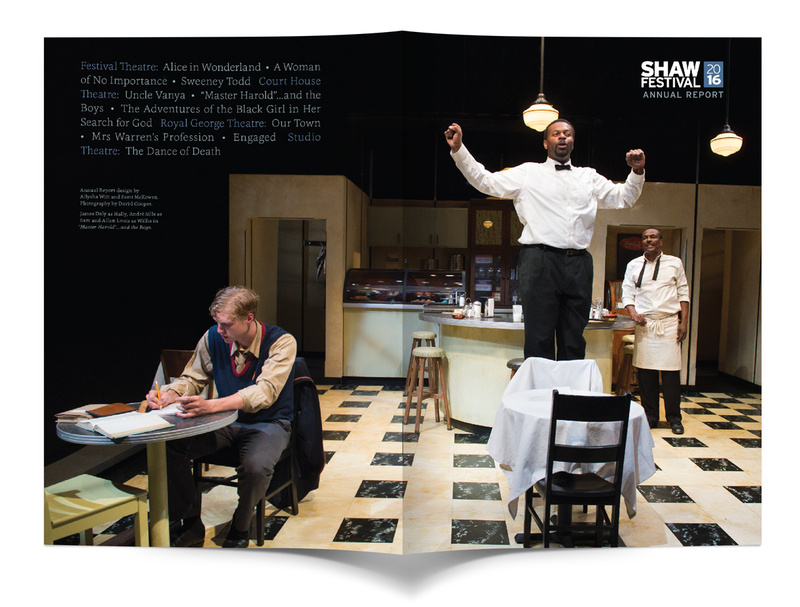 The house programmes rated an entire paragraph in a Shaw Festival review in The Wall Street Journal: "Playbills of uncommon depth, breadth and attractive design put all of the festival's works in historical and theatrical perspective, and are free with the price of admission." 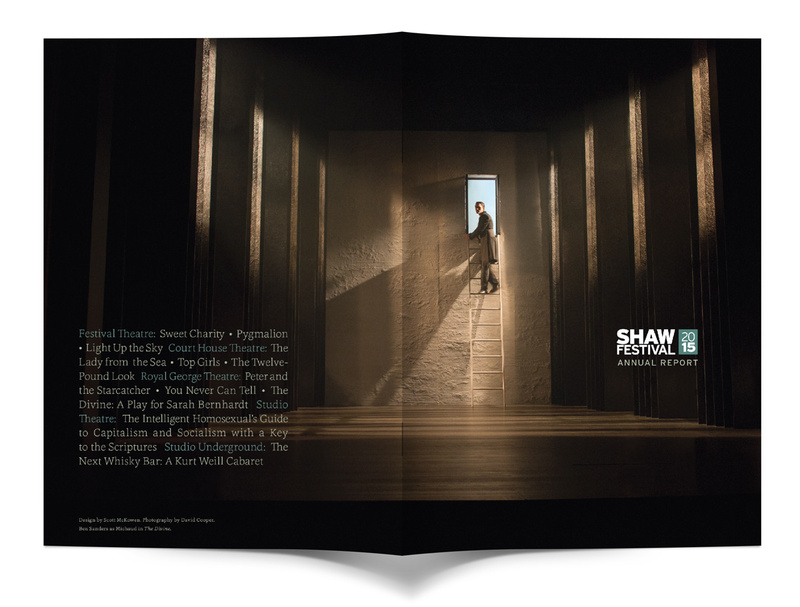 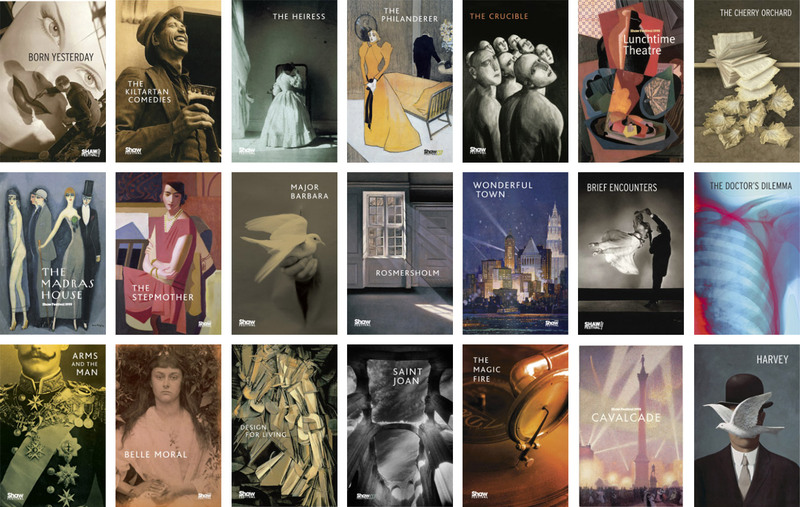 Punch & Judy selects cover art for the Shaw Festival house programmes – usually a painting or photograph from the period of the play – designed to help the audience enter into the world of each production. 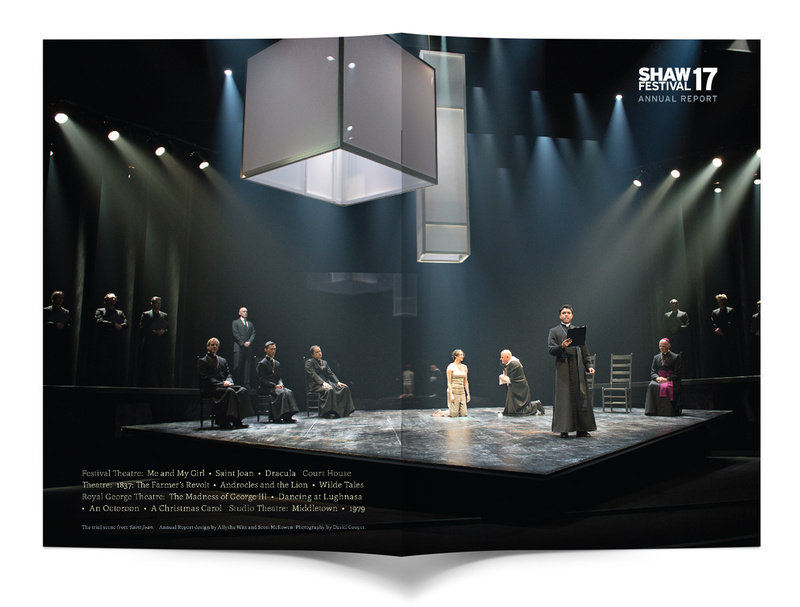 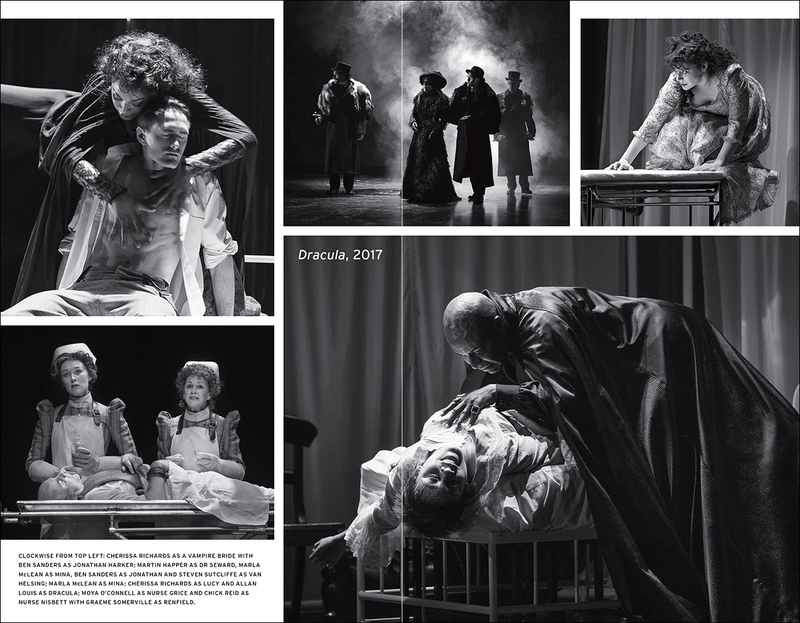 Punch & Judy has designed publications for the Shaw Festival for 33 consecutive seasons, including an Annual Report — a handsome retrospective of each season, illustrated with David Cooper's production photography. 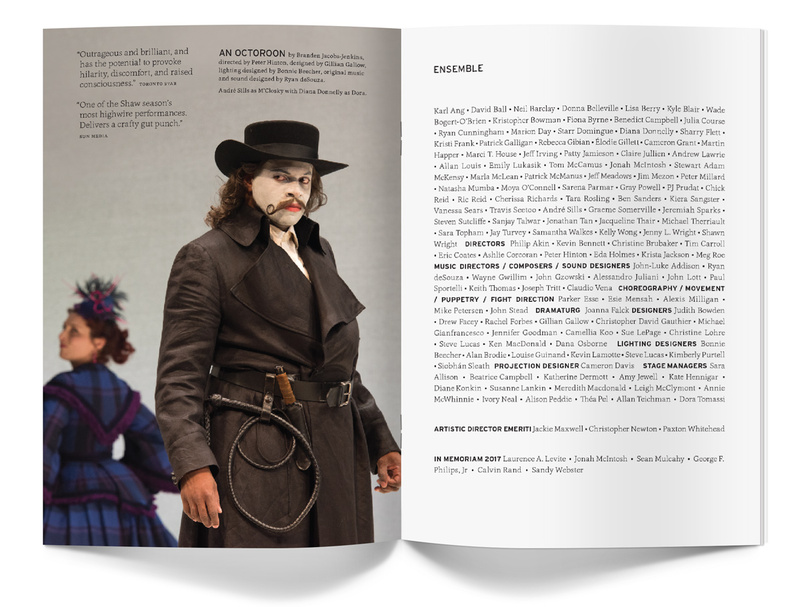 Distributed at the Annual General Meeting, the booklet is also useful for attracting new board members, sponsors and high-end donors. 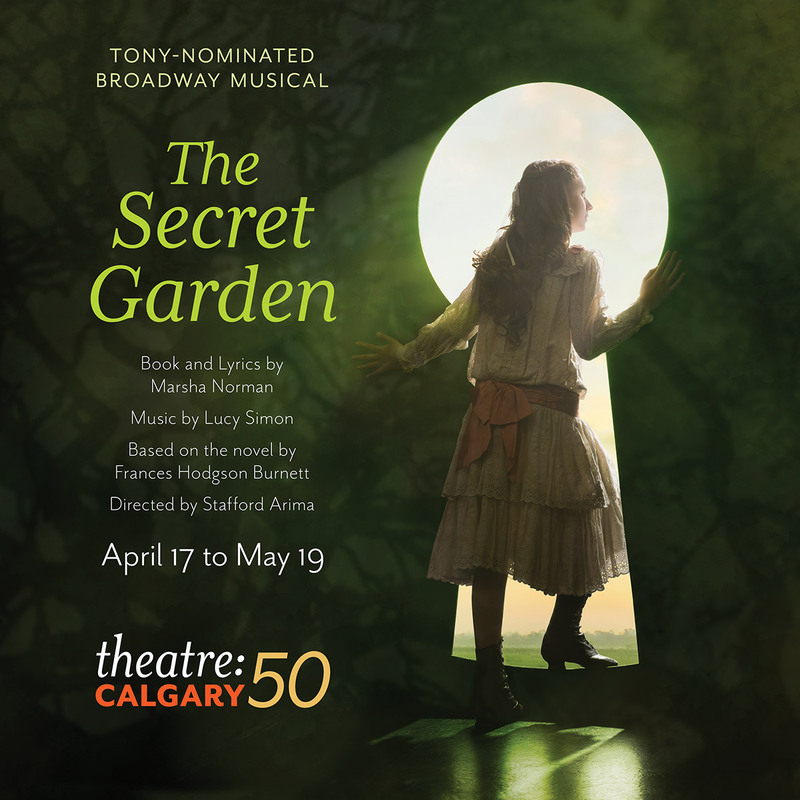 Scott’s career in Canada started in the mid-1980s at The Grand Theatre in London, Ontario. 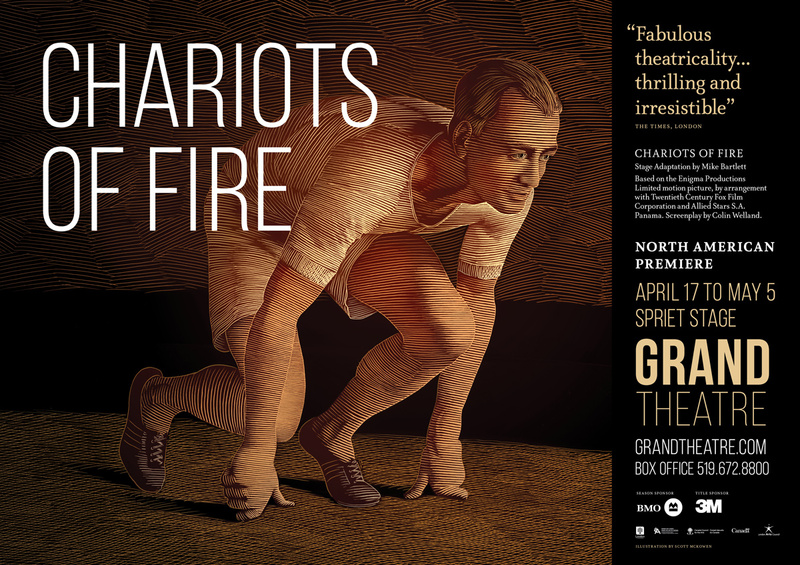 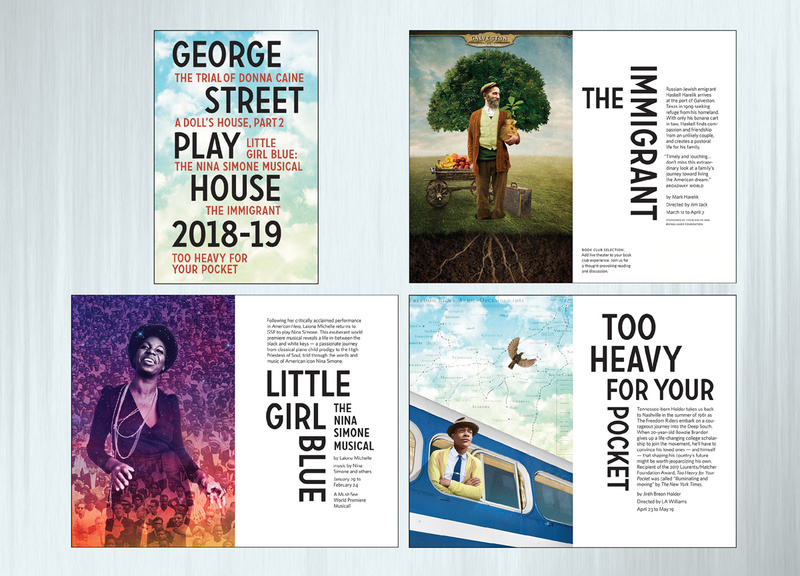 This was the first theatre company to invite him to create a “house look” for its marketing materials — and he worked there for eleven consecutive seasons under four artistic directors. 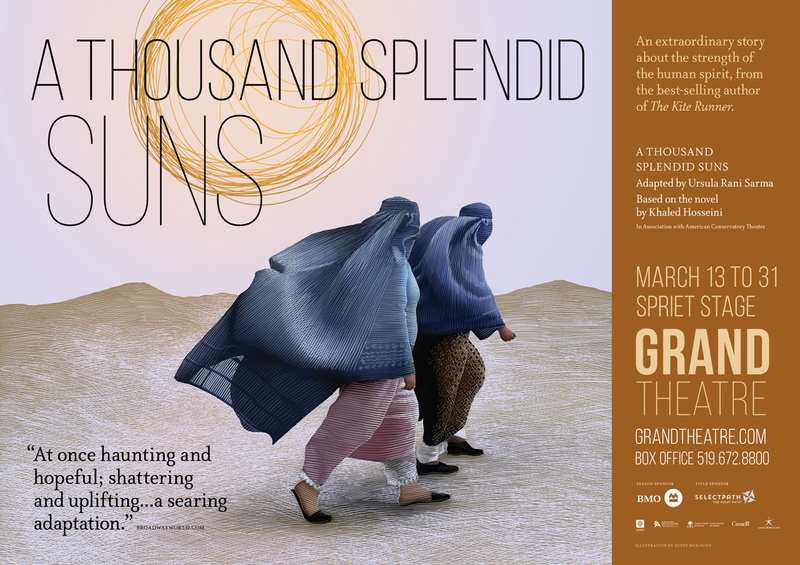 So when Dennis Garnhum arrived at The Grand in 2017 and asked Punch & Judy to return, it was something of a homecoming. 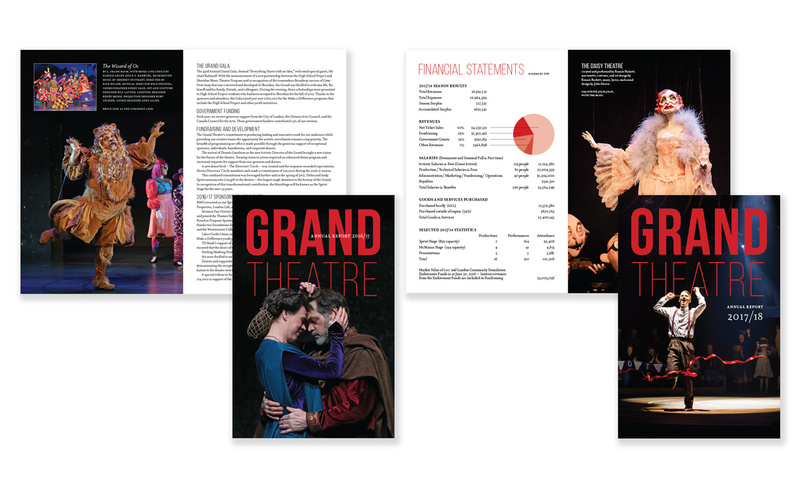 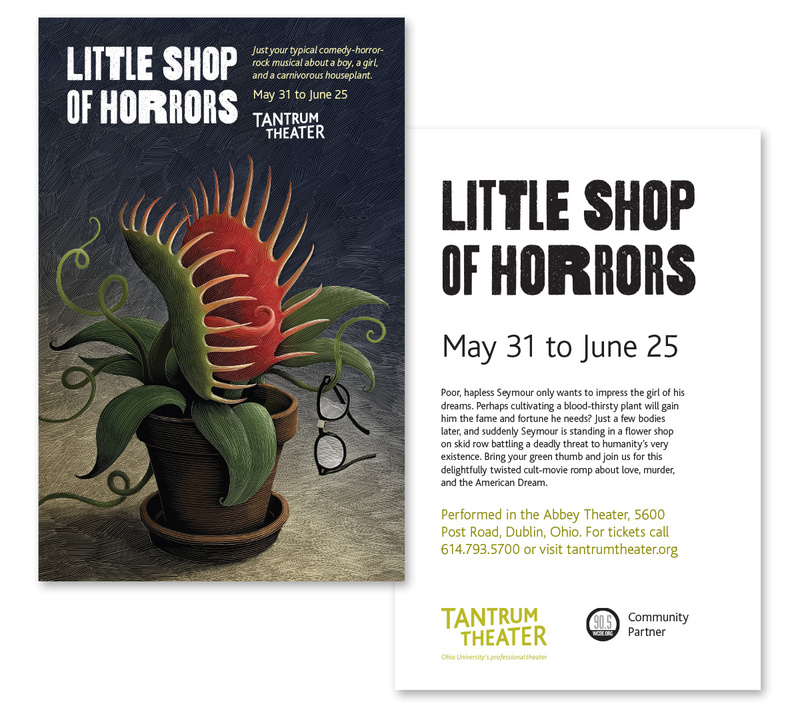 Assignments include the main season subscription brochure, marketing campaigns for individual productions, posters, print and digital advertising, signage throughout the building, and Annual Reports. 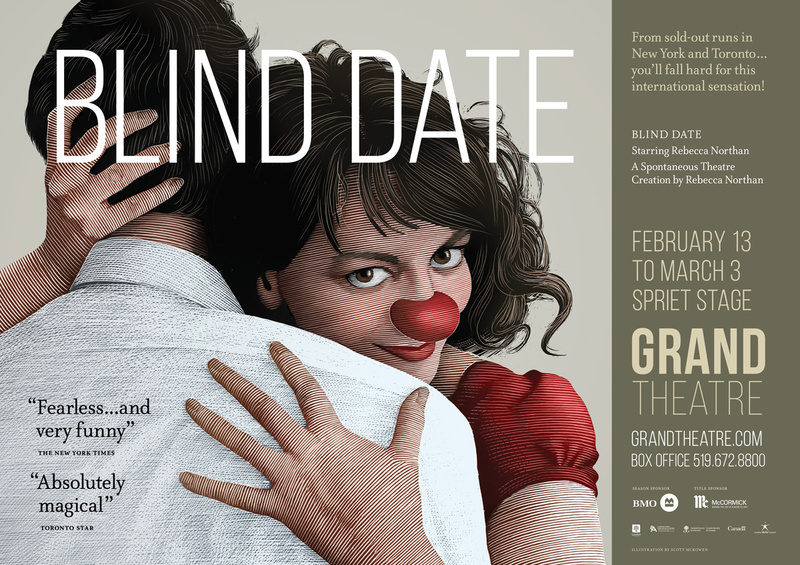 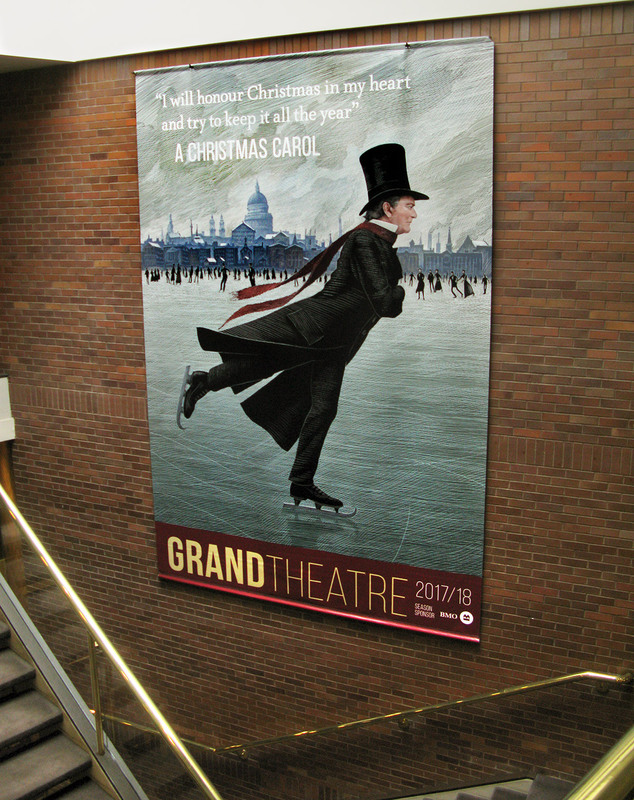 Punch & Judy has created marketing graphics for George Street Playhouse in New Brunswick, New Jersey, for three seasons. 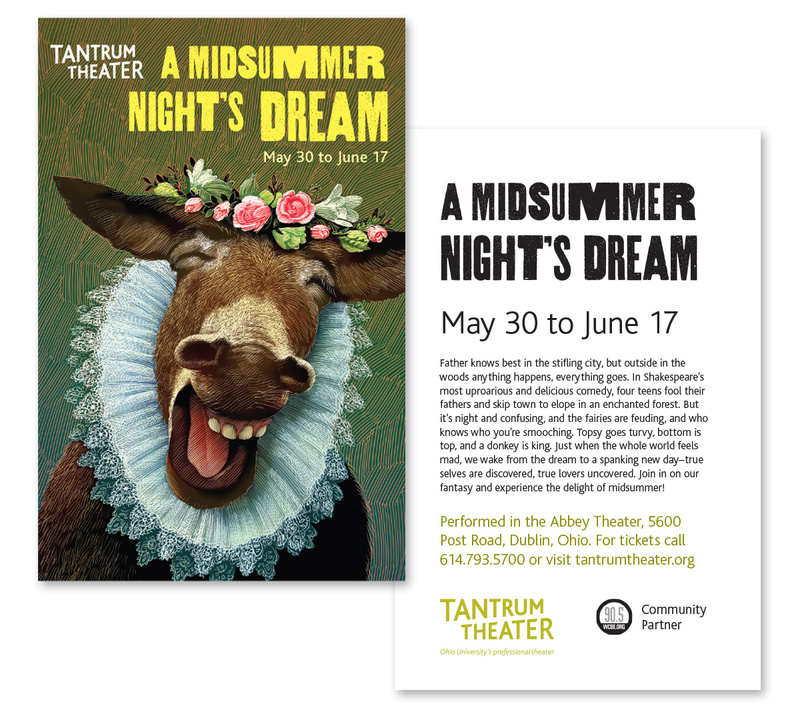 Emily Cooper did the photo collage illustrations for the 2018-19 season. 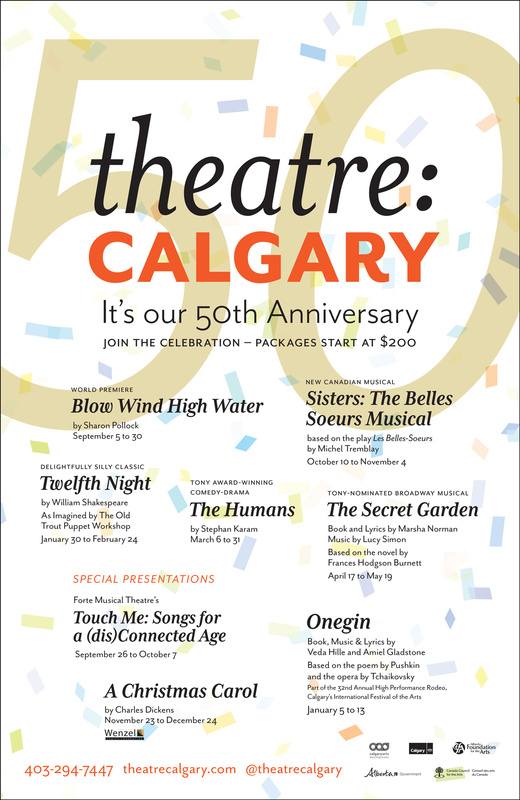 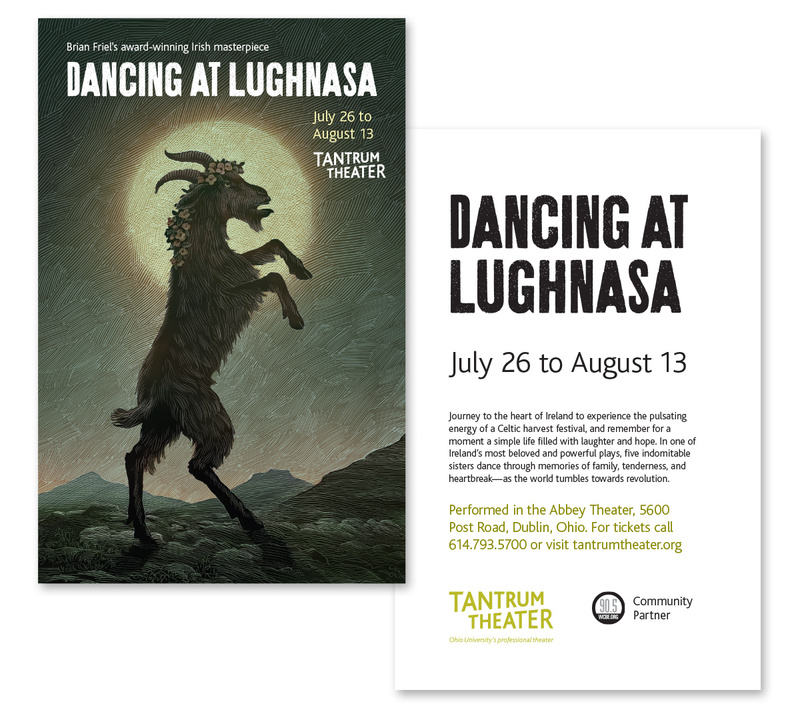 Punch & Judy designed an extensive range of marketing materials for Theatre Calgary, including brochures, posters and advertising campaigns, over eleven consecutive seasons. 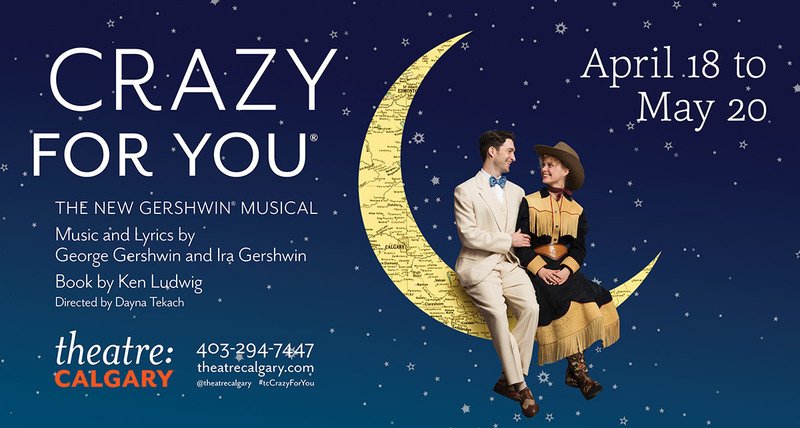 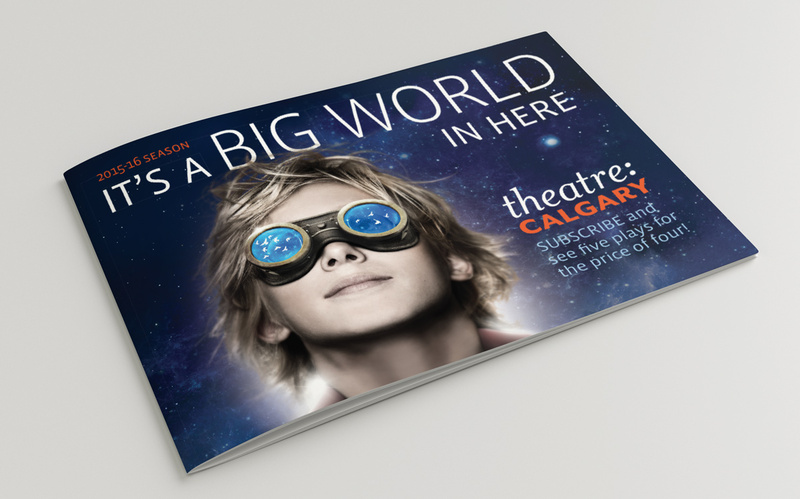 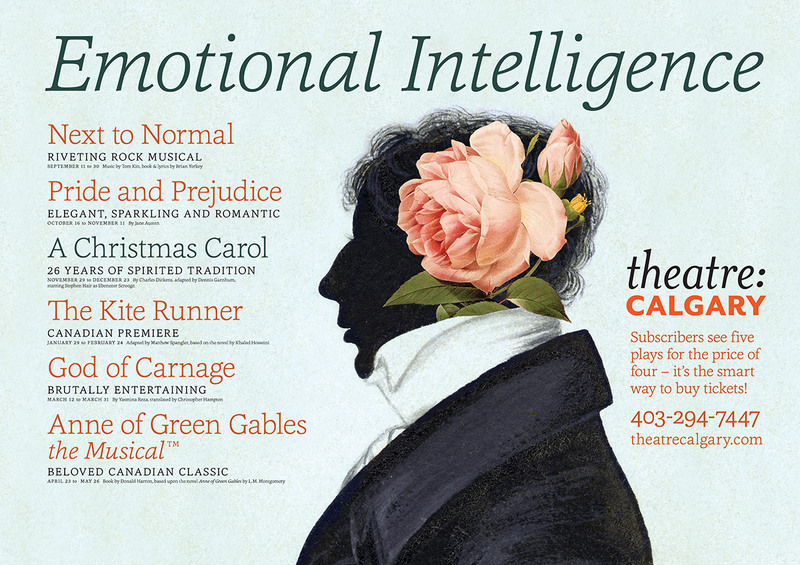 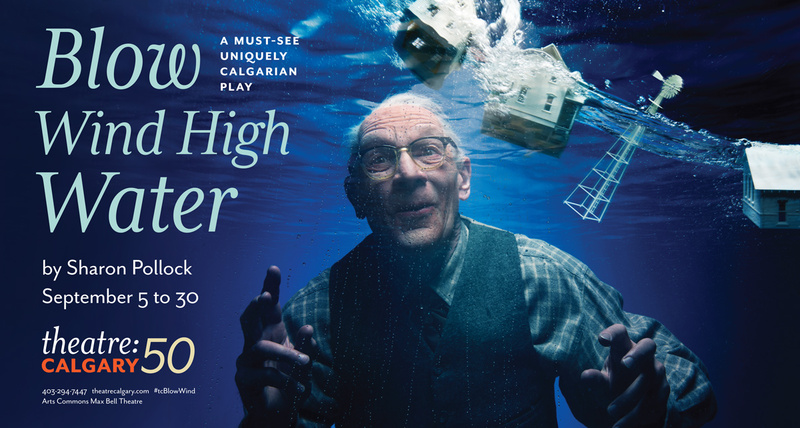 During that period, Theatre Calgary's subscriber base increased by almost 40% to 11,500 subscribers in 2014. 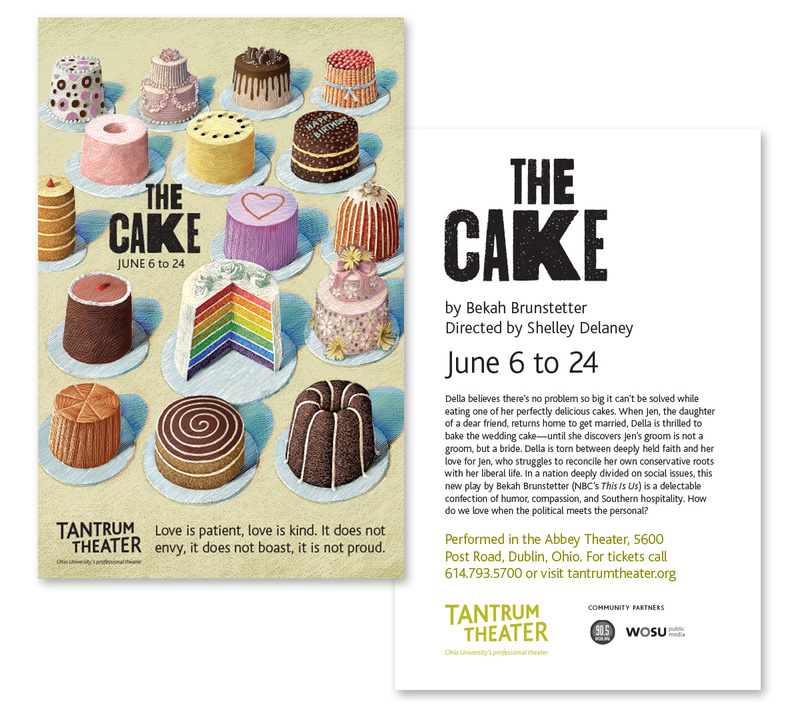 Tantrum Theatre is a professional company within Ohio University, in Athens. 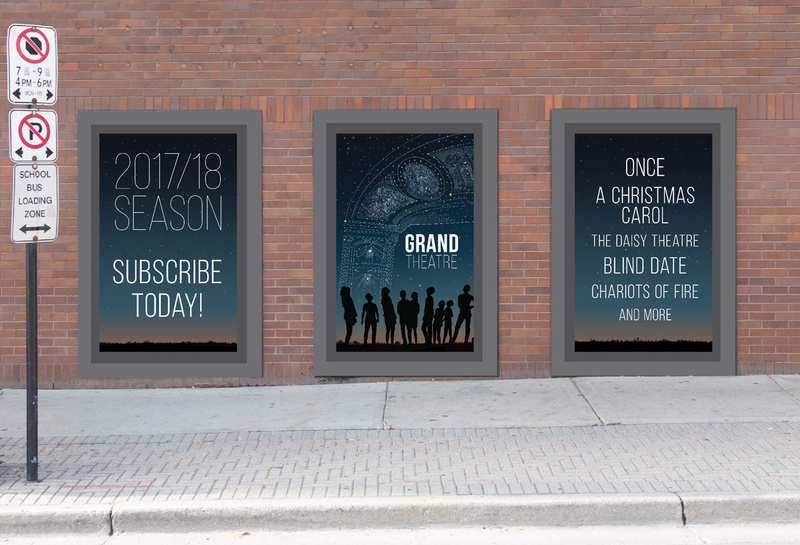 Punch & Judy has created their marketing graphics since their inaugural season.